Learn from the legend of COMMON SENSE TRAINING Stuart McRobert! Lessons Learned From Over 25 Years in the Iron Game! 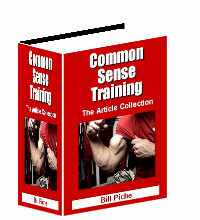 Common Sense Training provides the reader with all the necessary information to gain a significant amount of size and strength safely and effectively. 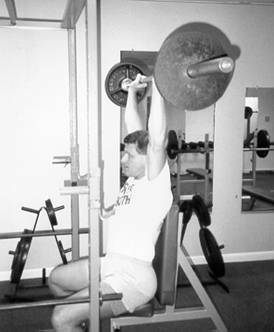 This e-book is a compilation of 20 previously published articles written by Bill Piche that cover everything from common mistakes in training to how to perform the big gaining exercises such as the squat and deadlift safely and effectively. The Ultimate Guide for Physical Development! 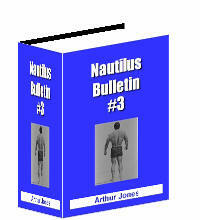 It was rumored to be nothing but a myth after Nautilus Arthur Jones published Nautilus Bulletin #1 and #2. Was there or was there not a Nautilus Bulletin #3? The answer remained unanswered for years until PDA found the lost manuscript. Now this common sense guide to muscle, strength, and power is being made available to everyone who wants to reach their training potential. Defend Yourself Against Training Roadblocks By Arming Yourself With 21st Century Solutions! 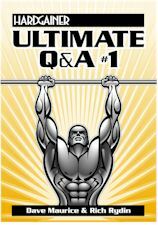 At long last - FINALLY the e-book that tells you the no-nonsense and quickest way to building big muscles and incredible strength! Are you at a sticking point in your training? Are you making little or no progress despite putting hours in at the gym? Who do you turn to? Where can you find the key to unlock your potential? Well, you've come to the right place! 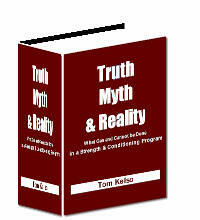 Are You Ready To Learn What REALLY Works In A Training Program? When it comes to training progression and realizing your true, full potential, experience counts for a whole lot -- and more than you probably think! After all, it's the grit and determination, month after month, year after year that turns an average body into a physical force no sane person considers tangling with. But not only that, along with those years comes something much more important -- WISDOM! Wisdom translates into knowing what works and what doesn't in a training program. Wisdom translates into understanding; understanding that some things are nothing but a fallacy, a waste of time and a drain on precious training energy. Wisdom also and very importantly leads one to sharing with others what DOES and DOES NOT transform 98 pound weaklings into well-muscled, respected brutes. Building Muscle & Strength May Prove Easier Than You Think! Although training for size and power isn't the complex beast some might lead you to believe it is, results -- REAL measurable results -- rarely happen by chance. It takes a strategy. It takes knowledge. It takes hard work. And to succeed you'll need a map for survival. 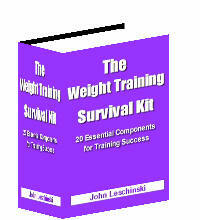 With the e-book "The Weight-Training Survival Kit - 20 Essential Components for Success," just such a map is there for you. This particular e-book is not complicated or hard to understand. What it covers is basic "foundation" information. 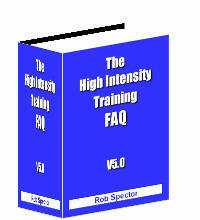 It's presented in a "holistic" style which can help guide you toward solid results from your dedicated training efforts. The 20 elements are simple and a quick read. They're easy to follow, and you should be able to easily digest them then apply most of them right away.